With the fifth workshop of the research network we continued our collective work onthe overall structure as well as on individual chapters of the final handbook. 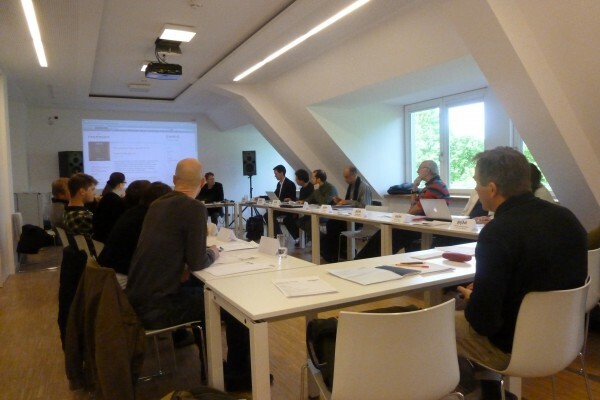 The workshop took place at Leuphana-Universität Lüneburg and it started with a public symposion at the Freiraum in Lüneburg. 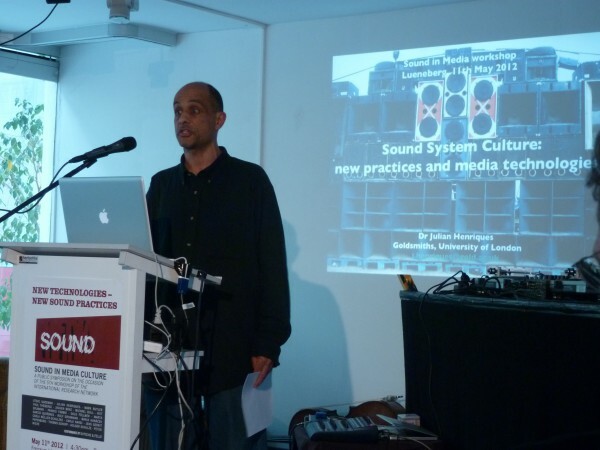 Julian Henriques and Steve Goodman presented their views on technology and practice: Henrique with a broad and breathtaking perspective on Sound System Culture, and Goodman with an inspiring and fundamental proposal for An ontology of vibrational force. In the folloqing panel discussion Mark Butler and Paul Théberge joined and together they discussed the connecting aspects as well as the difference of their likewise approaches; it was stunning how terminologies such as nexus, apparatus, affordance or just dispositive were present in all their approaches. A future fundamentally transformed and contemporary theory of sound and musical practice could maybe then be founded basically on a complexified description of the relation between human actors and non-human (machinic, technological, instrumental) actors: following e.g. the Actor-Network-Theory (Latour) or the Affordance Theory (Gibson). 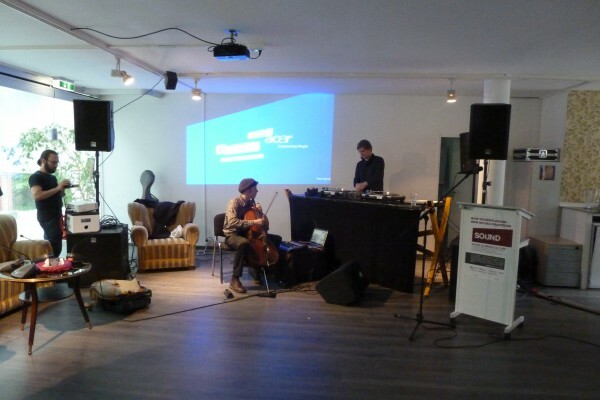 A performance by Sutsche & Fello, with Cello, slowed down techno vinyls and a performative interface was finally living proof of this changed and still changing relationality between humanoids and their technological apparatuses. 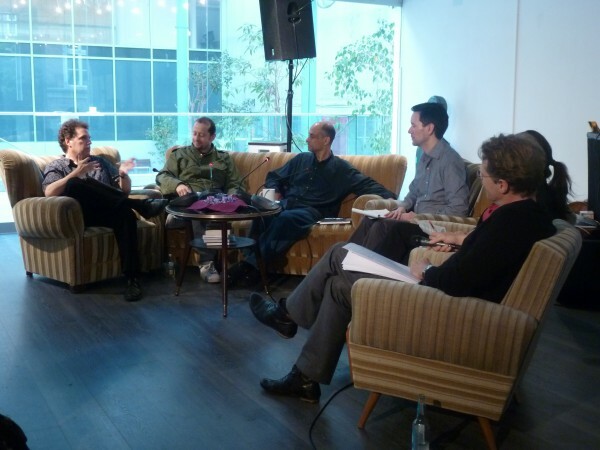 The closed workshop on saturday took place at Leuphana’s Schwerpunkt audio and dealt this time in its first part with various aspects of technology in sound practices (as always in our regular format of 6 brief 10-minute-presentations). Rolf Großmann, Mark Butler, Paul Théberge, Jochen Bonz and Sarah-Indriyati Hardjowirogo presented their likewise positions and research findings on either specific cases or general reflections on the status of technology in contemporary sonic and musical cultures: How can we describe the new, algorithmic instruments of recent decades (such as the Roland TB-303) in a terminology still close to that of musicology? How can we understand and conceptualize the musical and performative practices around a DJ-set? How can we understand the highly performative instrumental practices on stage at open air concerts or open air raves/festivals that ressemble more an assemblage of tools, gadgets and hardware items than of any traditional musical instrument? How can we understand the cultural implications of the autotune-plugin? How can we make sens of new sound-generators and digital instruments for mobile tablet computers and mobile phones? All these questions brought us recurrently back to discussing the general trends in sound studies-discourses. In the afternoon we discussed the general chapter structure, consisting of about 50 (sic ) condensed contributions from all of our network members and guests as well as from authors we invite to collaborate with us. 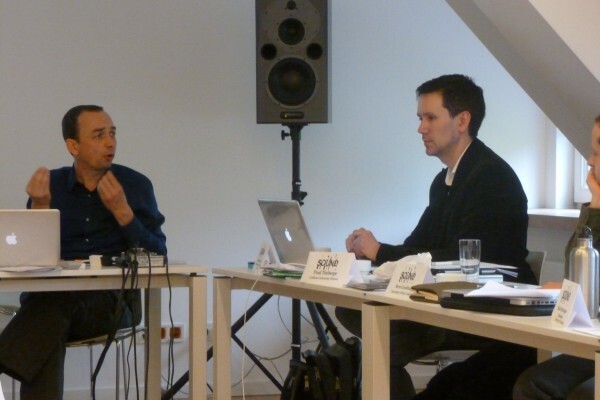 In separate working groups we discussed selected draft articles – on Sound Practice, Broadcast Sound and on Figurations of the Modern Listener – and drew our conclusions concerning the proportion, argumentative structure and the working process of the whole volume.